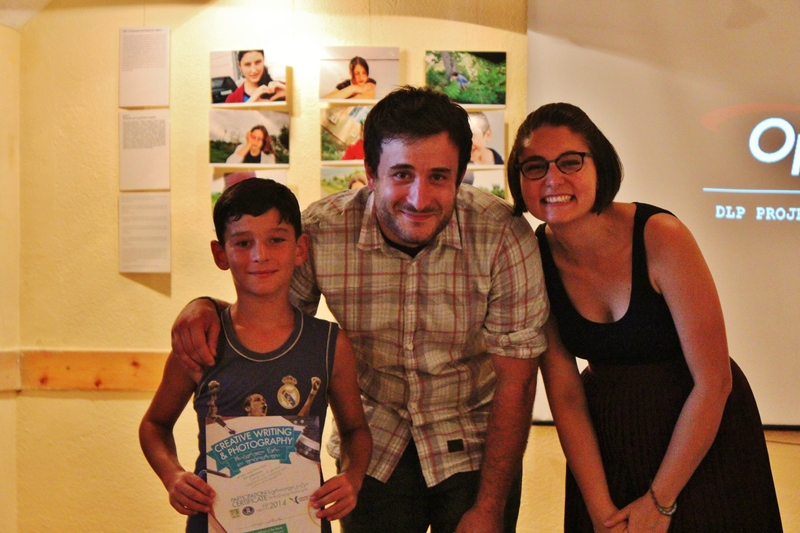 On 19 July the final exhibition of our project on Creative Writing and Photography, result of the previous workshop sessions given in the Skra and Shaumiani IDP settlements, took place at Caucasian House. All the results of the children’s remarkable efforts were presented. Youth Without Borders is a project funded by the Ministry of Youth and Sport whose aim is empowering young Internally Displaced People (IDP). 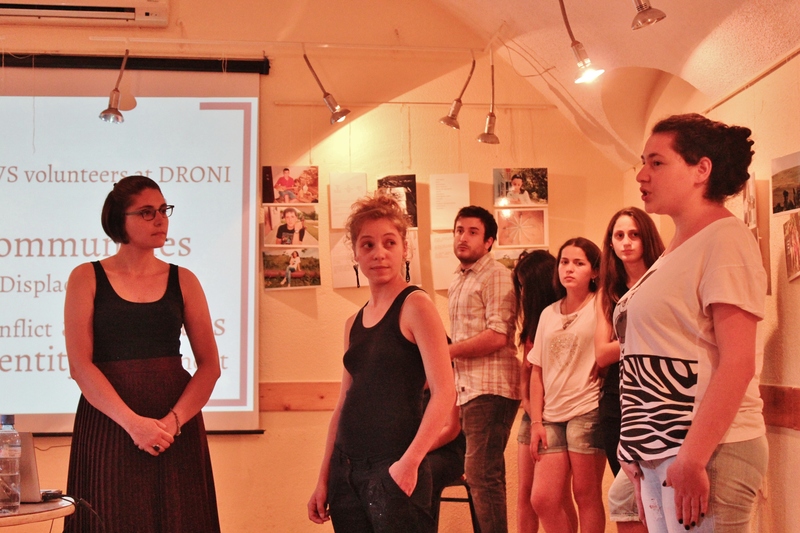 The aim of the project is to empower young people of this sector of the Georgian society, by giving them the resources needed to make them feel as an important part of the active citizenship. Active citizenship is the strategy that brings a change in the society through a constructive social action developed by young leaders and those encouraged to keep on playing a big role in the decision making process of their communities. 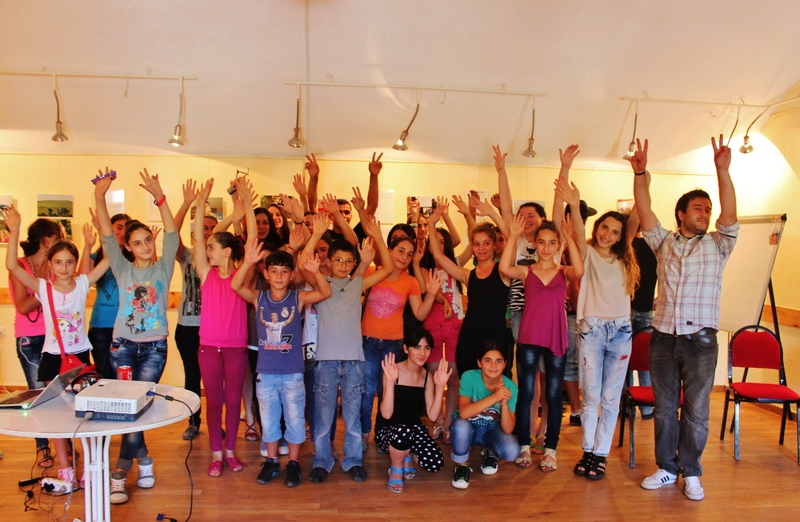 These series of workshop are part of Youth Without Borders program and took place in two different IDP settlements in Georgia; Skra IDP settlement near Gori and Shaumiani IDP settlement near Marneuli. The workshops focused on creative writing and photography as tools for self- discovery, expression and sharing with others. The main goal of the workshops was to make the connection between speech and image as means of self- representation and self- expression. 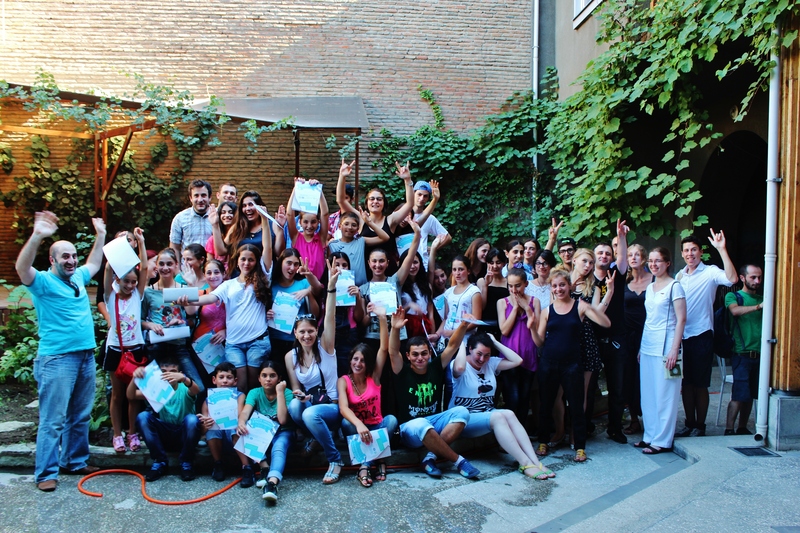 Having already realized part of our EVS project at Tbilisi Sea School, we were aware of the fact that IDP communities are very diversified between them and we should not consider them as one unified entity but rather look deep inside the differences that identify them and try to establish a common understanding. As we met few challenges on the way, we finally managed to gain the trust of children and collaborate with them in many creative ways whilst learning with and from them. Finally, participants were provided with a great opportunity to unlock their full potential during the workshops and some remarkable results of this effort were presented at the final exhibition at Caucasian House! As children had been more than motivated full of positive energy and creativity, it had been great to spend these two weeks at Skra and Shaumiani and we are very thankful for the collaboration of students and volunteers for the results of these workshops sessions and the exhibition! We would like to thank all the participants of this project as well as the volunteers who assisted us throughout the whole process and the Youth in Action Program which gives every day the opportunity to young people to work with local communities and bridge up their knowledge and understanding of the world around them while collaborating with young people! This section of my blog will be dedicated to my 9-month long stay in Tbilisi, Georgia for my European Voluntary Service (EVS) at Youth Association DRONI. 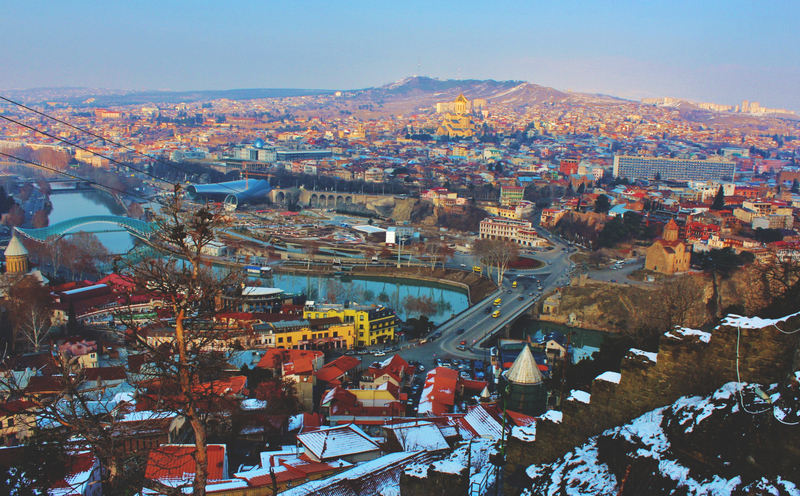 Tbilisi is a city of a bit more than 1,5 million inhabitants, an undoubtedly vibrant cultural crossroad between Europe and the Caucasus. During my stay here, i will be mainly working on local development projects concerning young Internally Displaced People (IDPs), principally Georgian/ South-Ossetian/Mingrelian IDPs from both South Ossetia and Abkhazia break-away territories (result of the wars of the 90s and more recently 2008) as well as Azeri and Armenian minorities living in communities around the country. In addition to this, a main focus point for me is the reclamation of urban space based on socio-cultural initiatives. The current squatting of the abandoned Old Hippodrome and its consequent transformation into Alternative Cultural Center of Tbilisi (ACCT) has already been one of my future priorities. As it is already my fifth day in Tbilisi, below follow some of my first observations and activities around the city. Urban exploration in and around Tbilisi, alternative cultural spaces and activities as well as socio-culturally diverse minority communities will be the main focus areas of my photojournalistic work around the region. 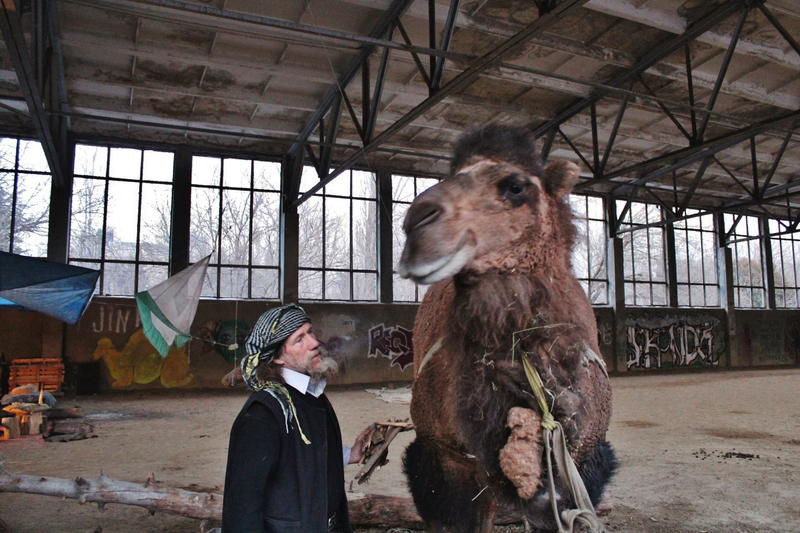 Already on Saturday morning, I had a visit at the Old Hippodrome of Tbilisi, close to the Saburtalo district to explore the abandoned building complex which has been now occupied by a French nomad named Goran and his female camel Tchini. 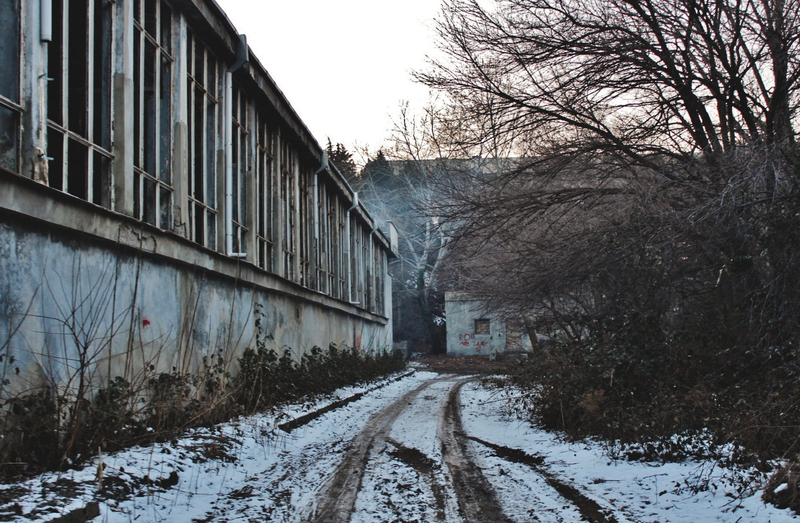 Plans of local and international activists and volunteers are to transform the Old Hippodrome into the Alternative Cultural Center of Tbilisi (ACCT) and therefore establish a new identity to the derelict complex. 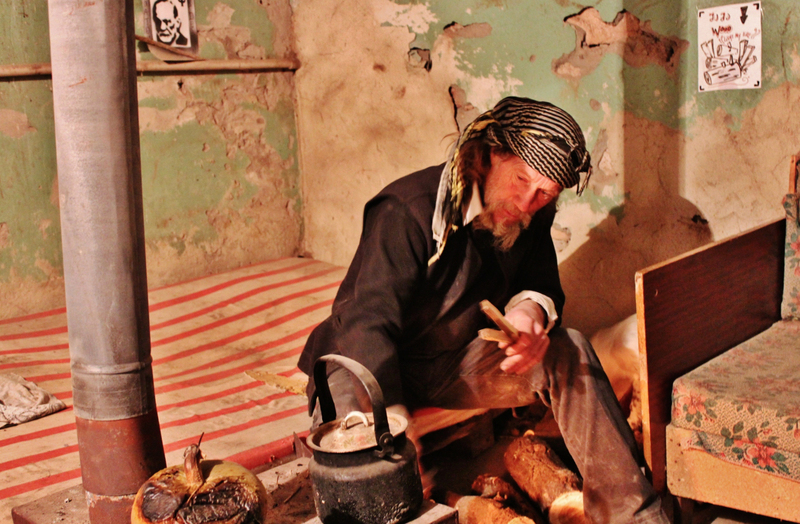 The place has already been a meeting point for travelers, activists and artists from Caucasus and Europe who initiate and participate in different type of workshops and cultural activities that Hippodrome hosts. A free space of cultural diversity and free expression, the Old Hippodrome is unfolding an alternative social activism. A long discussion with the nomad Goran around the fire with the company of all his animals and especially Tchini presented a very interesting angle of the current situation at the Hippodrome. Having traveled all the way from Afghanistan to Georgia, Goran shared many traveler’s stories with a lot of philosophical reflection and ideologies around life. 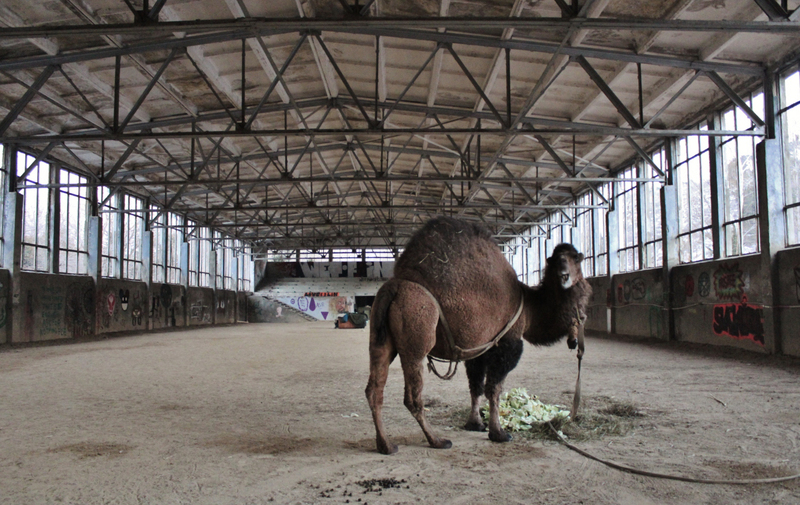 According to him, the squatting of the Hippodrome is a gift, benefit, solution and natural process concerning all the ones wishing to be part of the space, the vibes and the potentiality it can offer. Monica and Guillermo, also EVS DRONI volunteers such as me, are already working on developing interesting activities and more importantly fostering an open-minded dialogue among all the squatters, visitors and interested groups. The negotiation between mindsets, ideas and cultural suggestions is yet to come! A next visit to the Hippodrome and a more active participation to the upcoming project ideas will give me a more concrete understanding of the situation and its future development which I am planning to communicate soon! More photos from this visit can be found here.